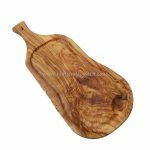 A selection of olive wood cutting boards / serving boards – with handle. 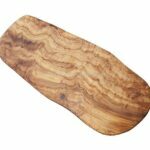 This beautiful olive wood board can be used as a cutting board, cheese board or serving board. 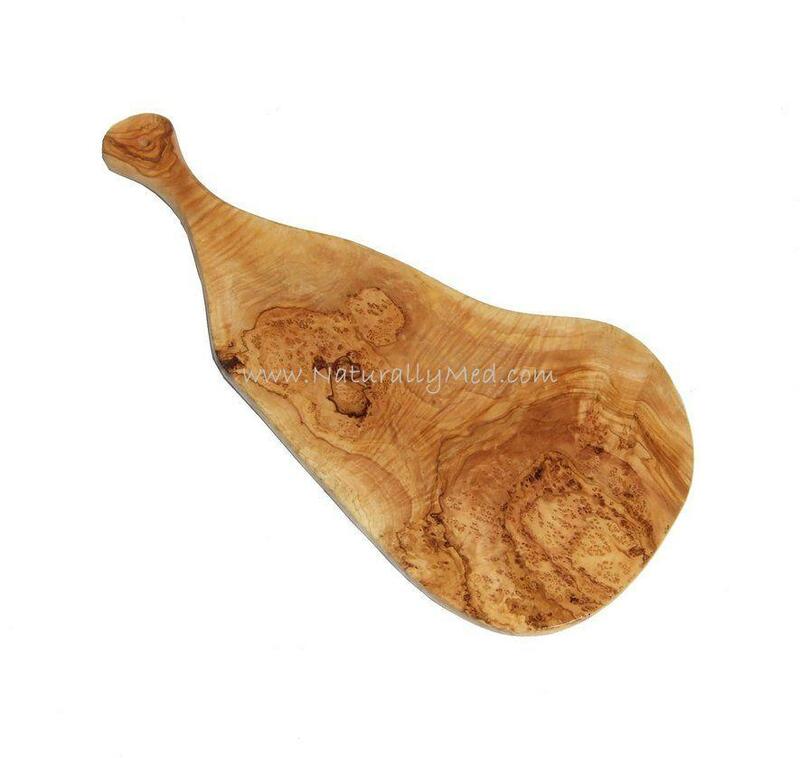 A stunning wooden board made from a single piece of olive wood – this will definitely impress guests! 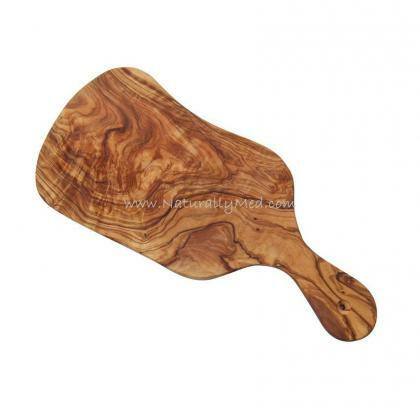 Patterned by the natural grain of the olive wood these boards are beautiful as well as durable. 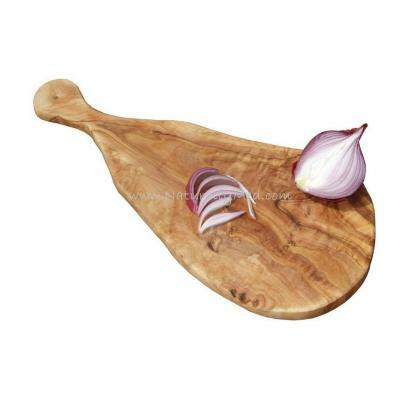 Olive wood has excellent anti-bacterial properties and is known to be one of the hardest woods in the world these boards will withstand heavy use and will last a lifetime if properly looked after. 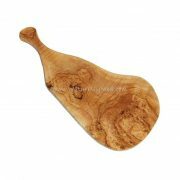 These olive wood boards can also be used as serving platters or presentation boards. 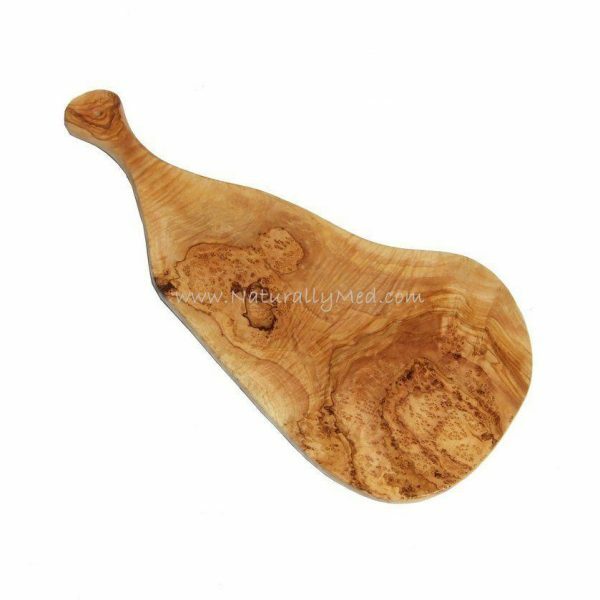 Naturally Med's range of olive wood cutting boards includes boards with a handle or without a handle, in many shapes and sizes. Be sure to visit the olive wood boards category to see the full selection. Naturally Med's olive wood boards are long-lasting as well as beautiful and practical. Follow this simple advice to keep them looking their best.